I don’t know about you, but we have plenty of candy leftover still from Christmas (and even a little from Halloween). Among the candy, we had so many candy canes we actually were able to decorate the tree with them! 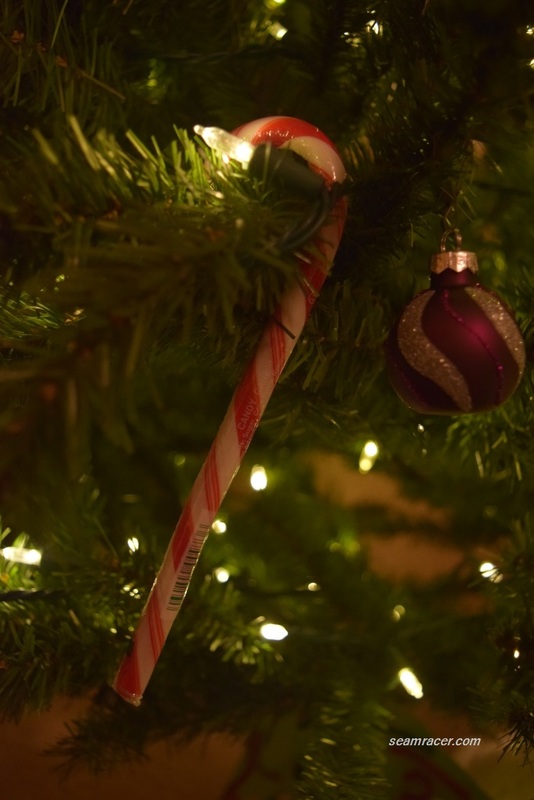 Now that the tree and Christmas are past and out of sight, we have to work on finishing those candy canes still around. 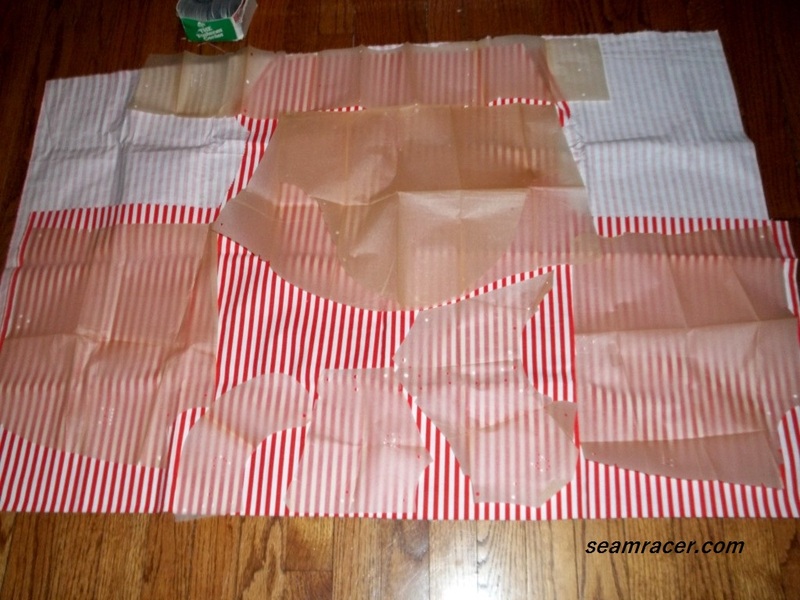 Well, how about instead taking care of some scraps of red and white candy striped fabric? As one who’s not that crazy for sweets (I know, call me odd…), this ‘sewing option’ to finishing off some ‘candy’ is my kind of thing! Hubby thinks of the hospital volunteer “Candy Stripers” when he sees this blouse. I know the two share similar fun red and white stripe usage, but they technically wore pinafore-style jumpers and my garment is just a blouse. 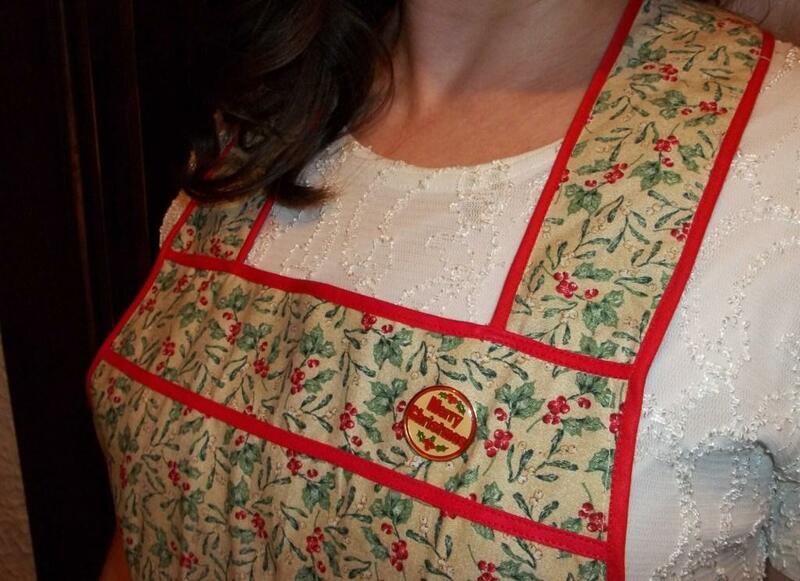 Still, both a pinafore and my 1940 blouse are peasant themed, and a rather “cute” (yuck – hate that term) style which tends to make one seem younger than one’s actual age (I don’t need help there). 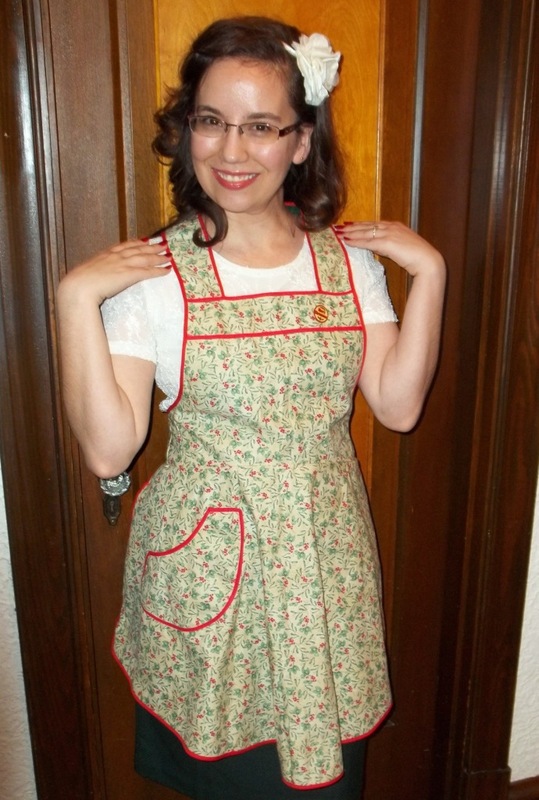 Both are from the same decade – my pattern dates to 1940 and Candy Stripers originated in 1944. 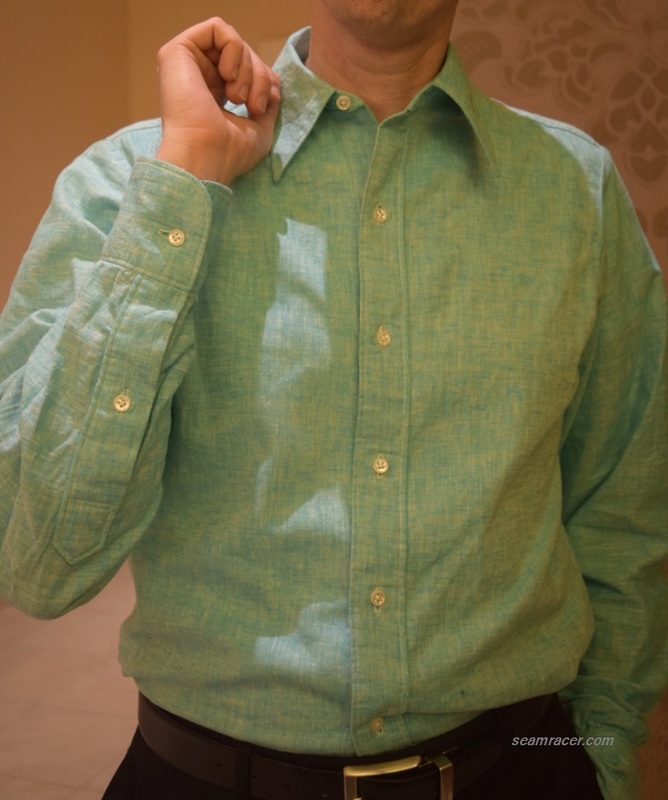 However, my blouse has something extra to it that makes it uniquely special in its own way, apart from any history or style or whatever. It is made from fabric given to me by my Grandmother. This post is in memory of her, as she is now deceased as of this past weekend. 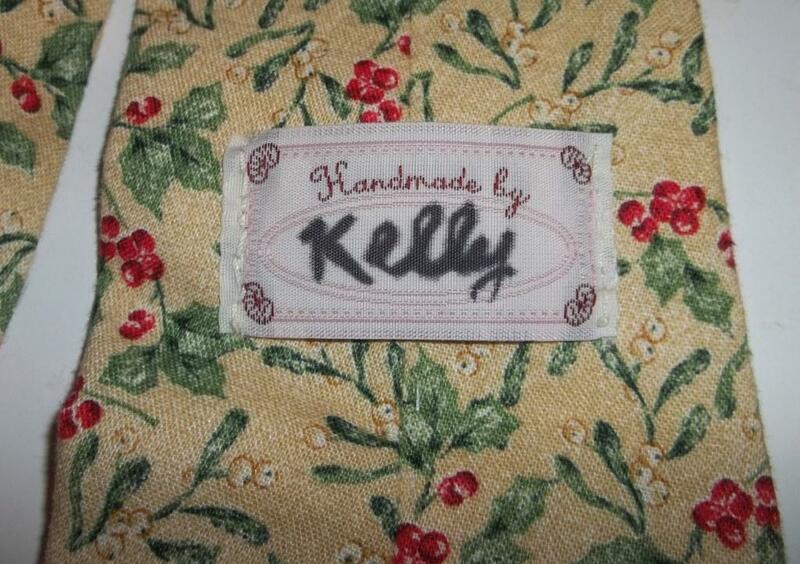 The fact that the fabric for my blouse was from her gave me some stress and self-inflicted pressure, at first. I wanted to make the very best I could with what she gave me, but I realized when planning to make this blouse that she would want me to only enjoy and be creative with what she gave me, and nothing less. 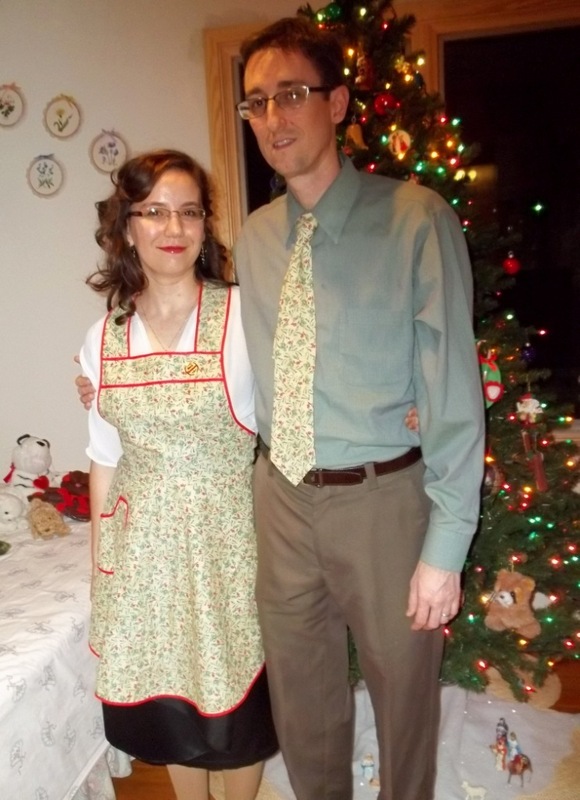 I felt the fabric and the pattern were made for on another, so it must be the best re-use of her scraps – I am quite pleased with my blouse, and thankful for her always encouraging appreciation of my talents. She was seamstress herself, as was her mother, too, so she had some awesome and useful sewing related items she was sweet enough to want to see what I would do with. Grandma, this blouse is for you! The date of this design (as I mentioned above) is 1940 – thinking back, my Grandmother was 10 years old that year. 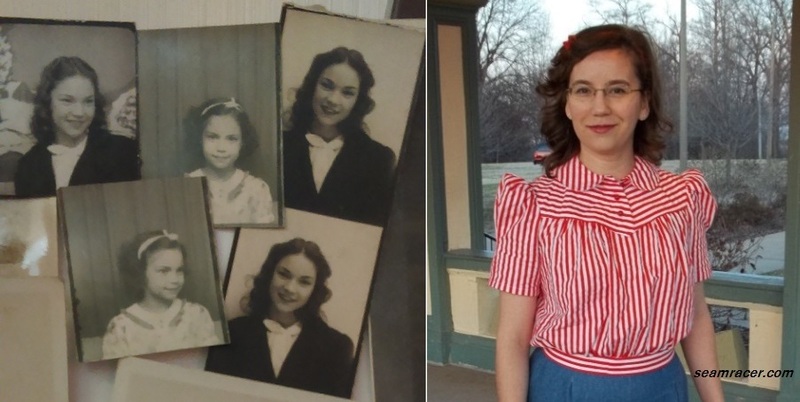 To make this blouse all the more poignantly related to Grandma, the family (myself included) suddenly realized, while looking at pictures of her long life over the weekend, how very similar her face and mine are to one another. Goodness, we seemed to have more in common than I knew. She was such a lovely woman, always with a kind word, a smile on her face, a thoughtful act, and a love of nature and of family, just to name a few qualities. I just hope I can be more like her, not just in face, but in person, too. TIME TO COMPLETE: This was relatively quick – 6 to 8 hours were spent to make this blouse and it was completed on February 4, 2016. This was a fun, intriguing, yet challenging project all-in-one. 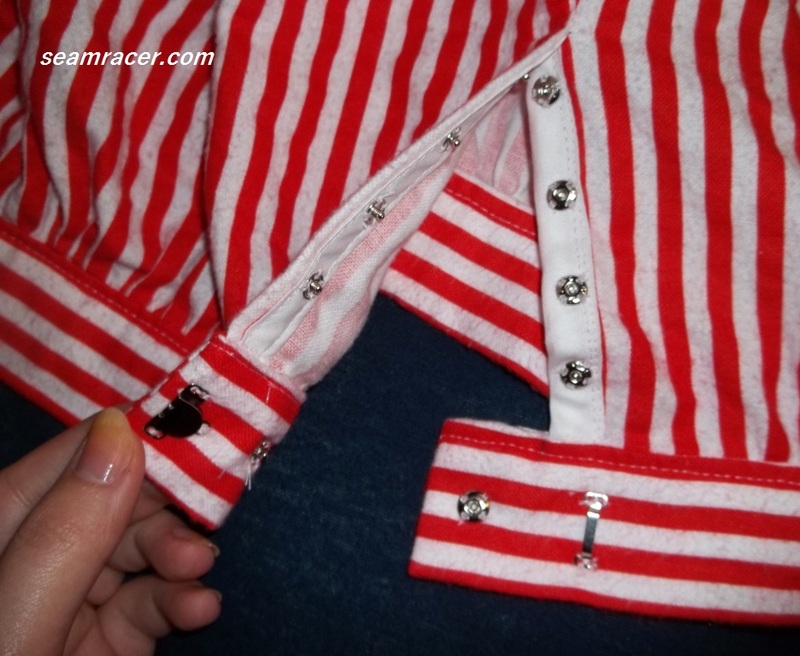 I had plenty of inspiration that I had found for late 30’s and early 40’s striped blouses (many of which can be found on this Pinterest board of mine) so it was just a matter of choosing a combo of directions for each section of my own blouse. This part was quite the memory game, trying to remember which pattern piece was for which section of the blouse and trying to lay it out in the intended stripe placement, all the while remembering to match lines! At first, it seemed I was quite limited as to what I could do because the fabric was a scrap piece, all cut up already in odd places. But, some mind crunching and much switching around of pattern pieces (again, like a puzzle game) and I was able to get what I intended, with only the blouse bottom waistband being necessarily cobbled together from four individual parts to make a whole. 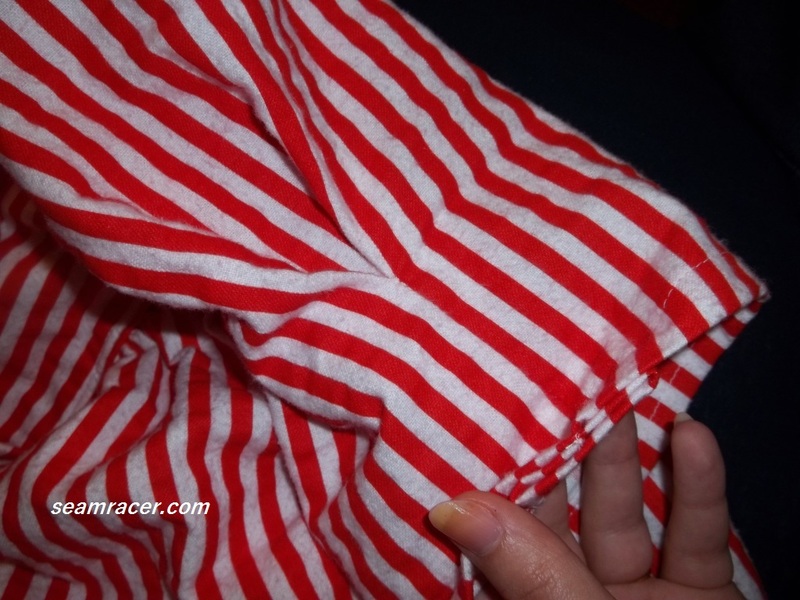 In all, this was another “close call” sort of project where you cut the pattern squeezed onto the fabric so much so that you barely have a few inch scraps leftover – so difficult but these kind make the most of every inch of fabric. 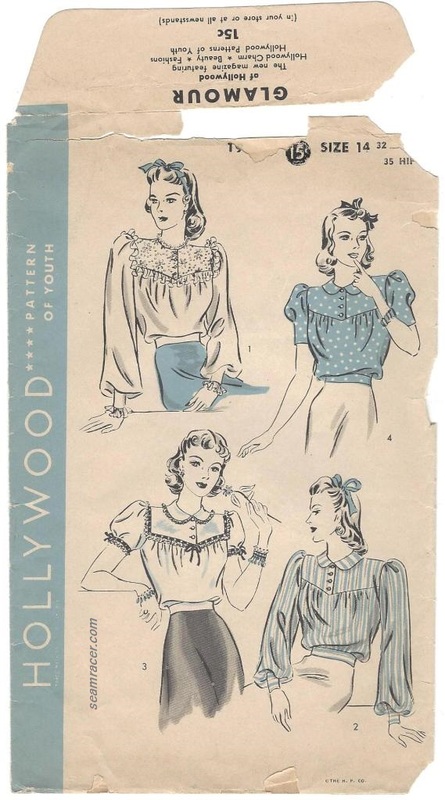 As was the case for other Hollywood patterns, this blouse again ran large. I know it seems it is supposed to be quite poufy and generous by design anyway, but I accounted for it by slightly downgrading with bigger, more modern, seam allowances. My only complaint to this top is that the button front neckline does not give me enough room for my head. I am able to put the blouse on as you can see, but getting it on is like some sort of skin pulling, “second birth” experience (sorry ‘bout the mental picture) that leaves the tasks of fixing one’s hair and applying make-up to be something that comes after being dressed. 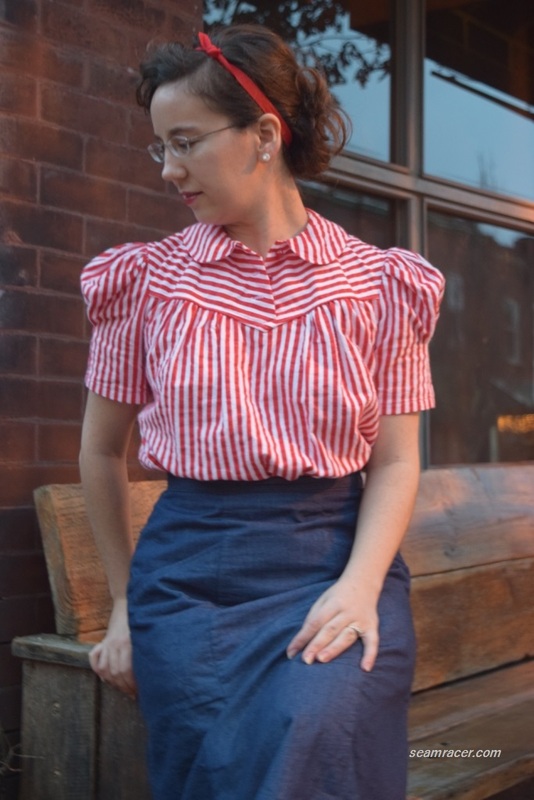 The awesomely full and puffy 30’s style sleeves are my favorite part to this blouse, besides being proud of the matching I achieved in the arm pleats on the side (see right picture). Also, this is the first Peter Pan collar that I really actually like on myself for some reason. 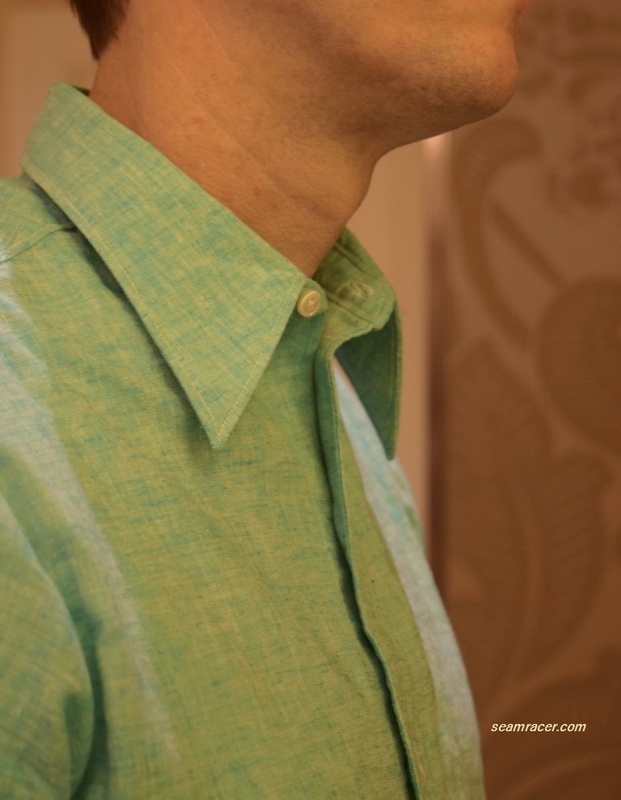 The controlled, even fullness of the bottom band is easy to wear – nothing to come un-tucked! The flannel keeps me just warm enough on chilly days but the short sleeves prevent me from being overheated when being inside. 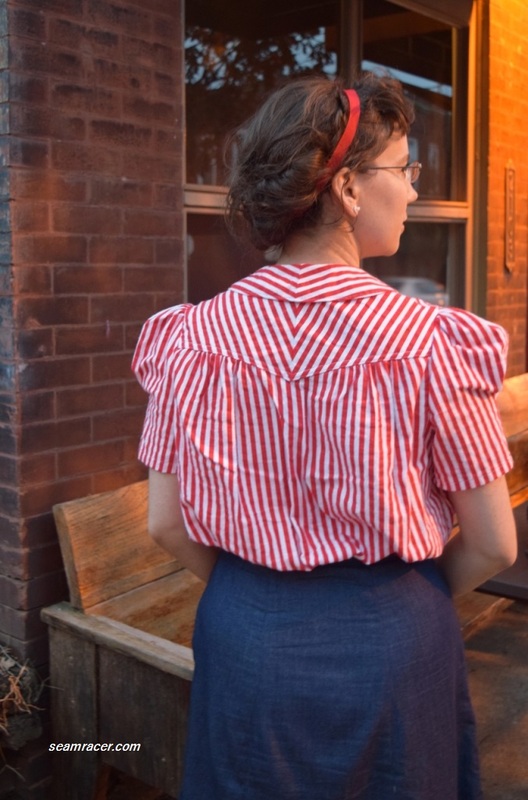 In all, this blouse is a great wear, so comfy with full movement, bold statement striping, and a vintage look that is a good kind of unusual. In order to avoid a side zipper being too stiff for the side closure, I buried my intolerance for hand stitching and sewed in snaps. The snaps keep the bottom blouse poufing out like it should above the bottom band. A strong waistband hook-and-eye holds the waist together. Sometimes I tuck the waistband into my bottoms (as when I wore my 40’s style denim skirt) and sometimes I leave the blouse band out (as when I wore it with my 40’s jeans), and I can’t decide what I like better. 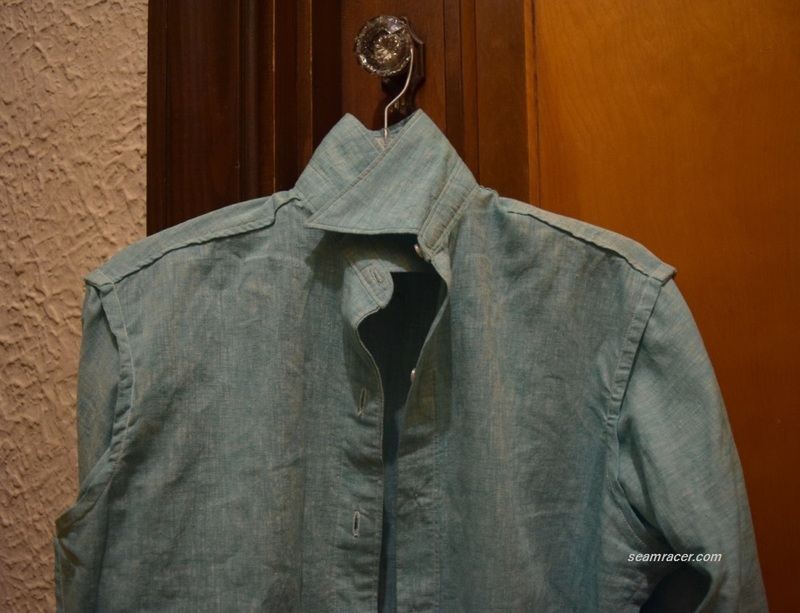 The blouse appears more like an Eisenhower-style jacket when untucked and closer to a blouse when tucked. Either way, I guess I do need to find more than just navy and denim bottoms to match with my blouse, at some point. This last mention is no big deal, but I wish I had thought about “setting” the colors before I washed the blouse fabric. 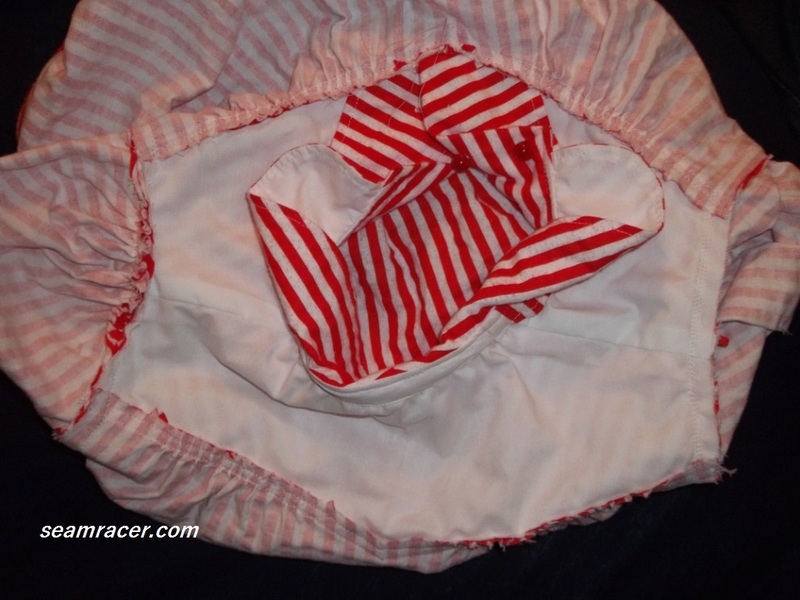 It was a crisp red and white originally with a generally smooth feel, but after washing the flannel its brushed finish fluffed out more than expected and the red leaked slightly into the white turning some stripes into a faded pink tone. The color problem is not something obvious enough to really show in our pictures, however I wish I had thought of it beforehand and am keeping this lesson in mind for the next bold two-tone fabrics that have to make their way to the washer. Any suggestions on how to do this “setting” of dyes that leach? I have seen salt water soaks being recommended, but does anyone have first-hand tips to share? There are many ways to remember the past, but remembering it through fabric is kind of special. You get to wear it, do creative things with it, and it can be seen in pictures for a long time after. Admittedly, there is nothing that can beat a memory but clothing certainly can add to that recollection or bring it back. This might not be the best garment I’ve made but the special background to it makes it pretty great to me. Now that the time for stories coming directly from my Grandma is past (sadly), I’ll keep paying attention to my her pictures and maybe I’ll see a glimpse of what she made with the other part of the fabric I used to make the blouse in my post. 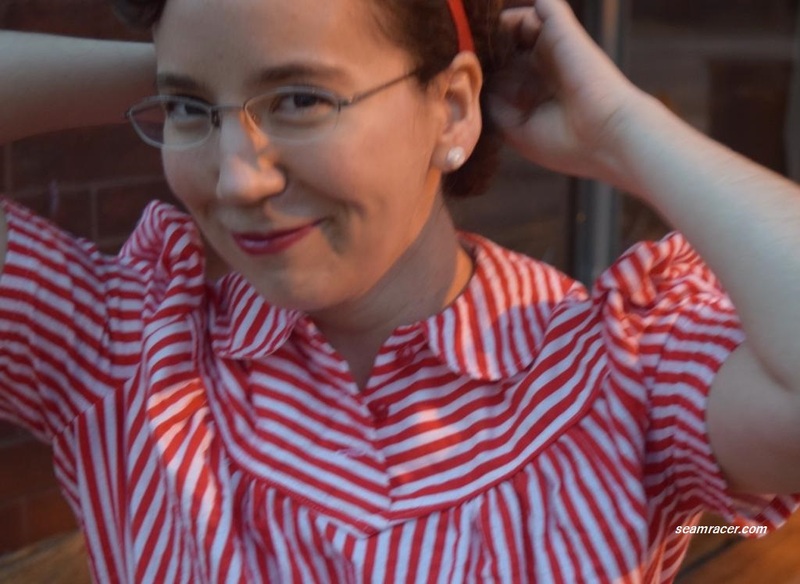 Some of my pre-blogging outfits are like ghosts peeking out to appall my current taste in clothes when they are seen from a less frequently visited garment rack or out of a storage bin. Others, in good number, are still worn by me and occasionally trickle visually onto my blog. These ones are the ultimate tried and true standbys in my closet, and although I have some reservations about them deserving to be on my blog, this site does feature things I made and if these garments have lasted me this long…hey I’ll give them their moment in the spotlight! 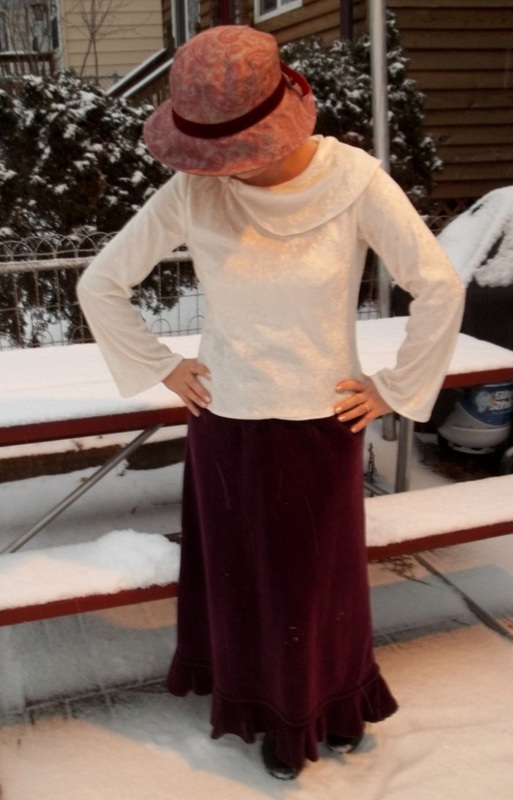 Here’s a Christmas outfit I made for myself back in 2006. I must say this is one I am still quite proud of – besides, it has good memories attached. 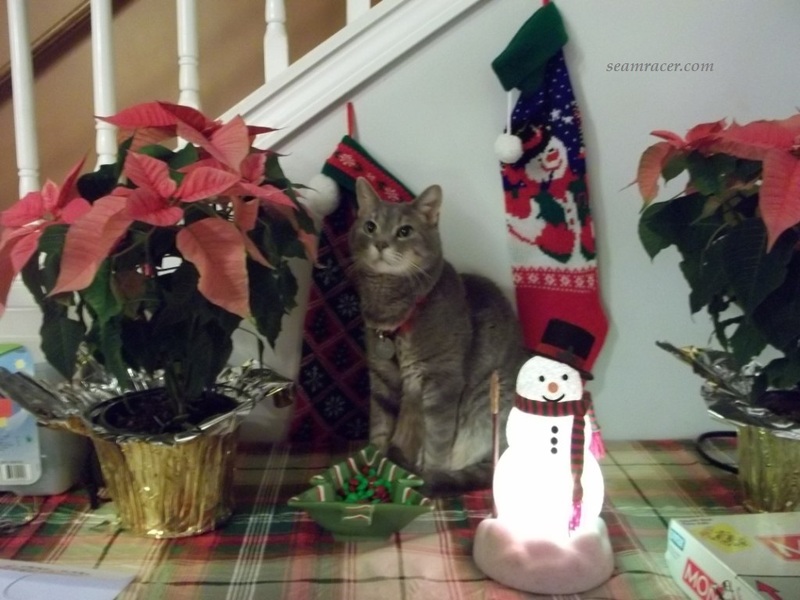 My aunt’s house was being featured in a Christmas neighborhood tour, and I was delighted when she chose me to be the guard/helper for the occasion. Being one who sews, of course I used this event as the perfect reason to whip up a new outfit (the one in this post). How could you get any fancier than two lovely tones of velvet?! Also, too, I figured correctly that the velvet would keep me warm the week after for the midnight church service my parents and I attended that year. Even with my coat on, you can still see the prettiest feature of my skirt sticking out from underneath since it’s so long. 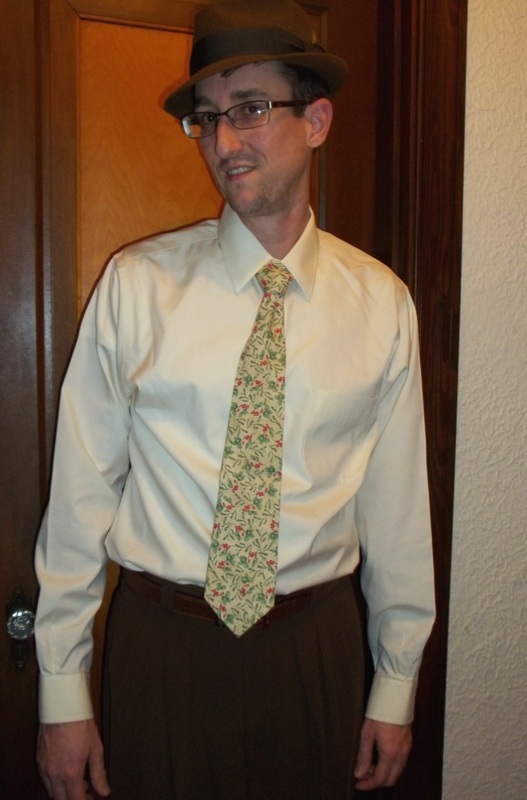 Oh yes, I was doing some calculating with this outfit, and it might be a bit dated, but it’s still a winter winner! My hat was bought to match my outfit, a Christmas gift that same year (2006) from my thoughtful dad. It has a velvet ribbon around the base of the crown to continue the theme of my outfit. My matching boots leather suede “Hotter” brand, a gift to myself a few Christmases back. 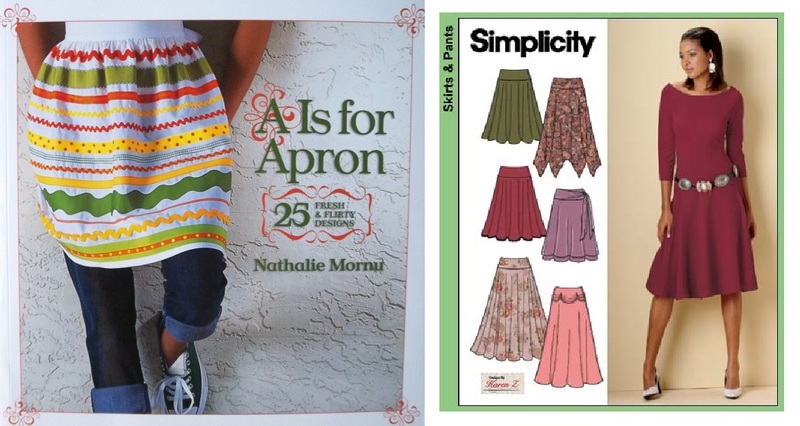 PATTERNS: The skirt used Butterick #3654, view C, year 2002, while the top is from Butterick #4230, view B, year 2004 (whose bell sleeves went onto this 20’s tunic and this 1970 dress). NOTIONS: Just basic stuff from on hand was needed here – thread, elastic, bias tapes, and some spare ribbon. TIME TO COMPLETE: Neither of these took very long to make, but I do not remember exactly anymore – I’m guessing about 5 or 6 hours for the outfit. THE INSIDES: Both top and skirt were made at my parents’ house so I took advantage of her serger (over lock machine) for all around cleanly finished edges. 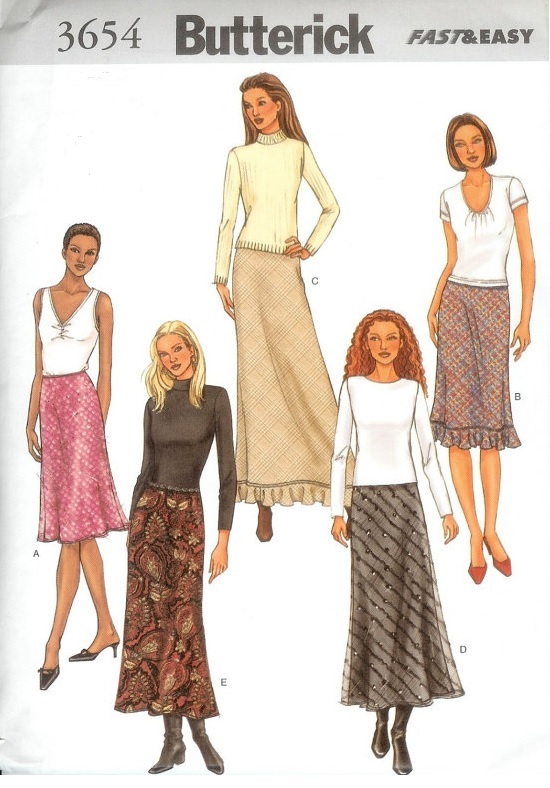 The patterns for the top and skirt are great – easy, quick, fit right on, and turning out exactly as pictured. There is a refreshing lack of both facings and closure notions. 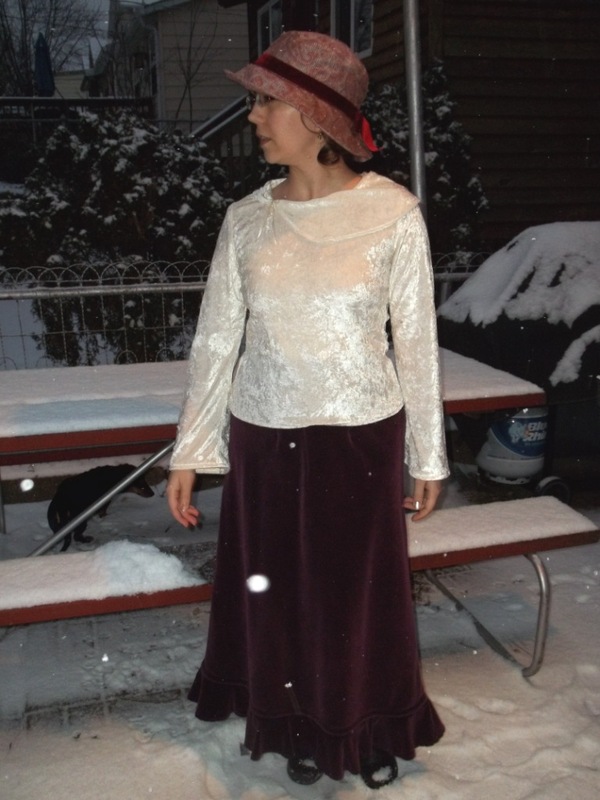 My top was made without any changes or adjustments but now I wish I had lengthened the bottom hem a bit. The bertha-style collar has the tendency to curl, but I believe that is due to the panne velour…it just loves to curl like holiday ribbon run over the edge of a scissor. Bell bottom style sleeves prevent this top from being worn under a sweater, kind of a bummer because the poly panne is a lot thinner than the skirt and not as warm. Besides, the panne has a nap that seems to go in every which way at once so it sticks like Velcro to whatever clothing is over it. This is the only down side to this top, really. Otherwise, I do love how this is a dressy top without being stiff or stuffy. Mostly, I believe I choose this ivory panne because I love how the look of it reminds of the beauty of a cold frost spreading, crusting and settling over a window on a cold winter’s day – part of the reason we took our pictures in a snow shower! 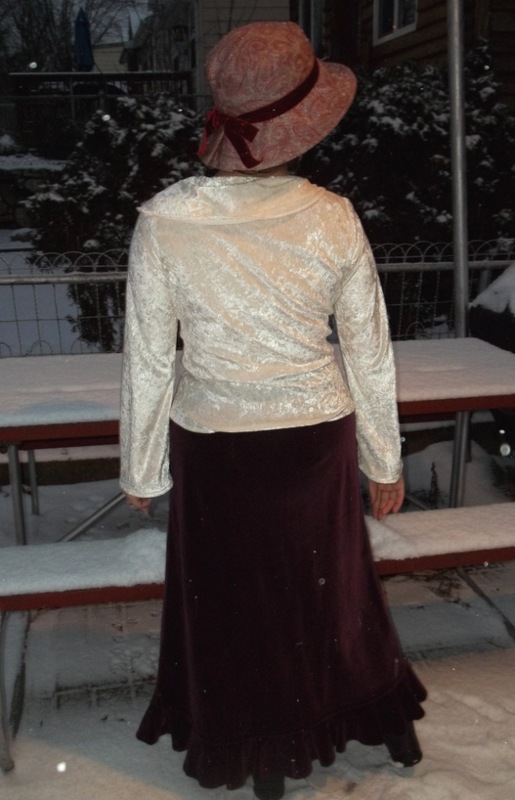 My velveteen skirt had several issues along the way to as you see it now. 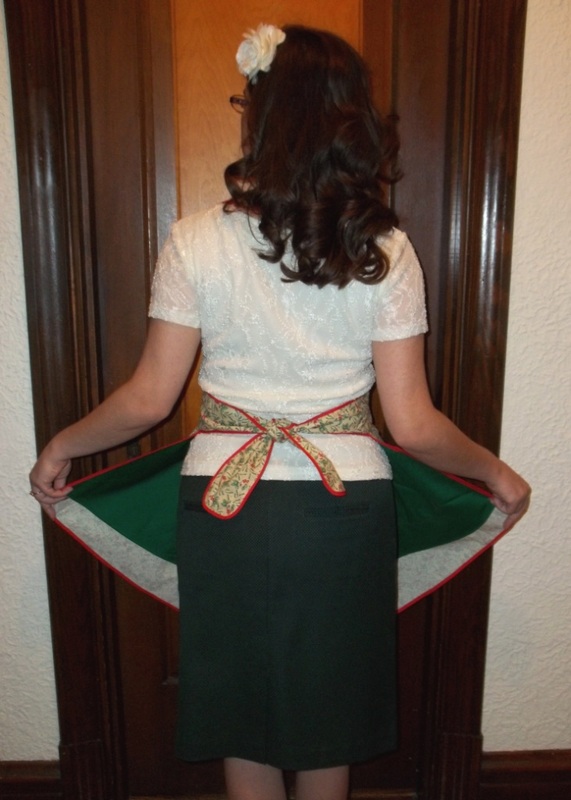 When I was first making the skirt, I had miss-read the proportions and lengthened the skirt. However, it didn’t need it so I ended up taking out the added inches by making a folded over band above the bottom bias flounce. I think the skirt looks all the better with that band above the flounce. A few years later, I finally got around to refashioning the waistband so it wasn’t an all-around elastic band-type. 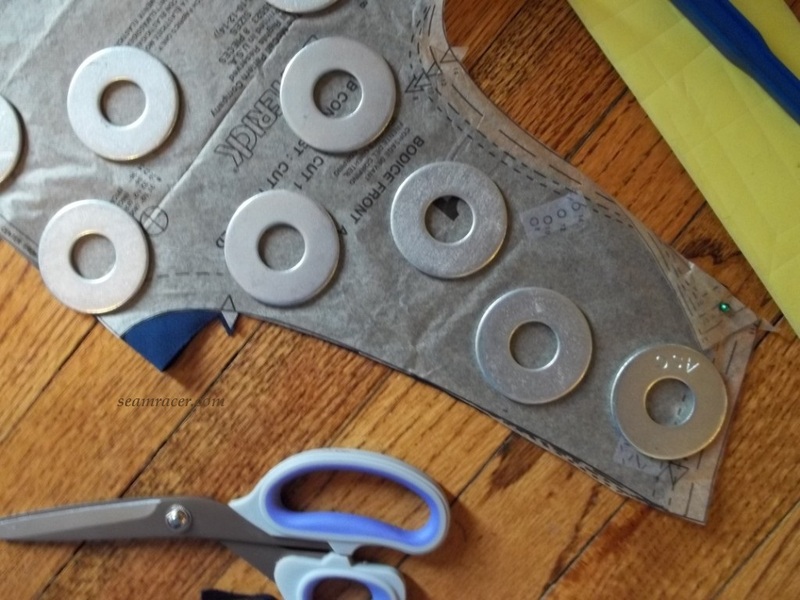 There are two off-center darts down from the front of the waistband so the belly will be smooth, with the elastic going around the back and sides from front dart to front dart. Last year, I realized one of the front darts were crooked and longer than the other, so I adapted that. 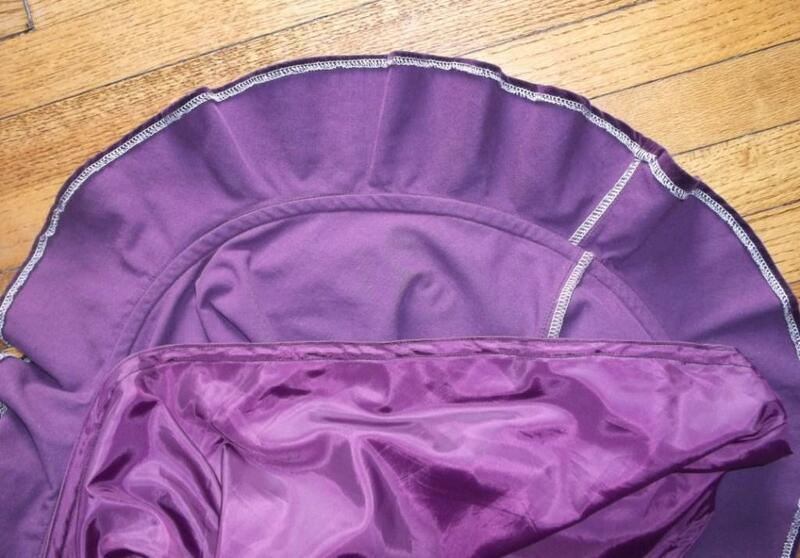 The lining inside is free hanging attached at the waist of the skirt. 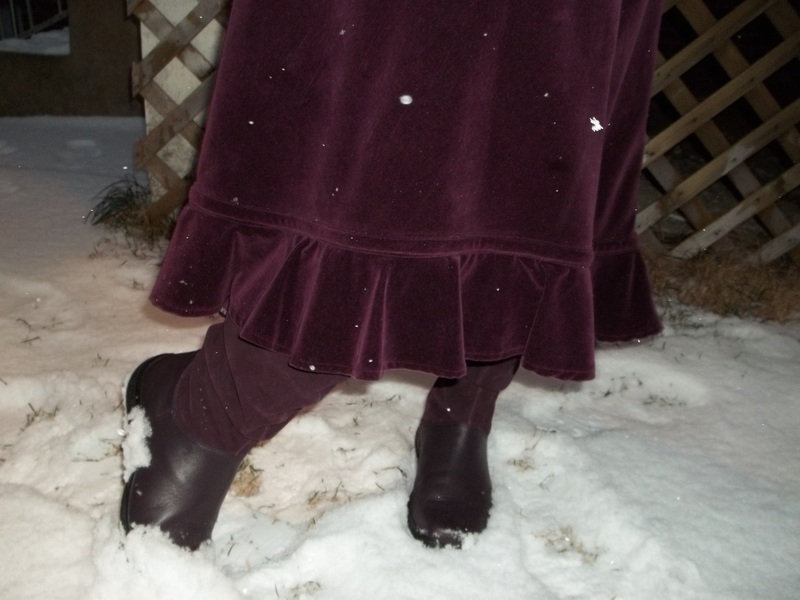 Its hem ends at just above the bottom flounce of the velvet skirt because when I walk the ruffle above my feet flips up in a rather curious but pretty way. If the lining was lower than the flounce it would show when I walk. This might appear a simple skirt, but it has seen its share of tweaking through the years I’ve worn it. This outfit brings to my mind a topic I’ve wanted to bring up on my blog. You see, when a garment is made by me, I make sure I both like it enough and that it fits me well enough that it gets worn for as long as it will last. This includes any mending, repairs, fitting adjustments, and even includes the possibility of re-fashioning. I crafted it for myself and spent the time and money on it, thus I feel no one else but me is better qualified or has more vested involvement to make sure a handmade garment gets loved and appreciated. Granted some of my past makes are eye-sores to me now, way beyond any ideas of re-fashioning at the moment, and make me shake my head at what I was thinking. At the same time, I will admit I do like keeping these currently unworn eye-sore garments because it helps me see how creative and individual I’ve been with my fashion all these years and (most especially) see how far I’ve come with my skills. Am I just a lone wolf doing this long-term interest in one’s own wardrobe? This idealism is mostly associated with the war-time rationing efforts of the decade of the 1940s, but I do not see why it should be so ‘cubby-holed’. Modern “fast-fashion” has no staying power – it comes and goes out of fad every few months, it is commonly made with extremely low quality, and is not made to your fit and taste like a sewn garment can be. No wonder charity shops are overflowing with unwanted ‘stuff’. 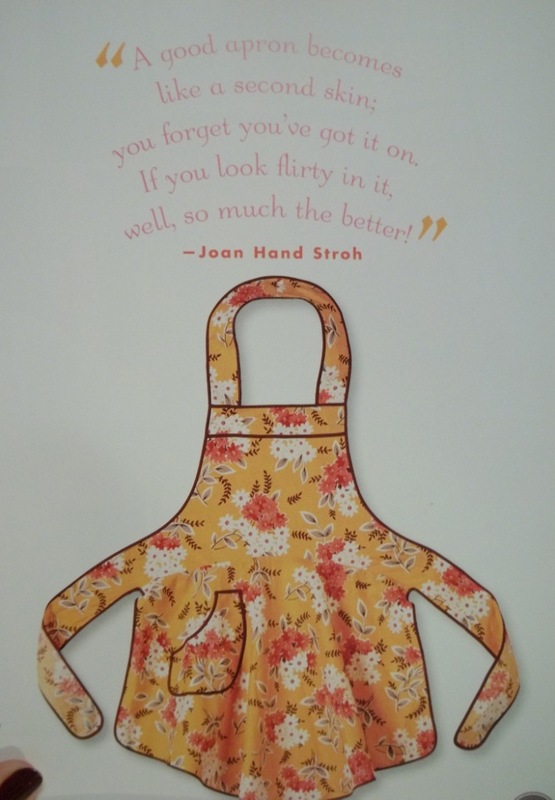 Handmade garments have more lasting qualities, so why give up on them and get rid of them like any old “ready-to-wear”? Even if you do have store bought garments, or even vintage pieces, you can still take care of them to keep them in fine order rather than letting a fallen hem or frozen zipper be forgotten by being donated away. In my early 20s, experimenting with store bought clothes which did not fit me well was how I taught myself the ins-and-outs of tailoring. 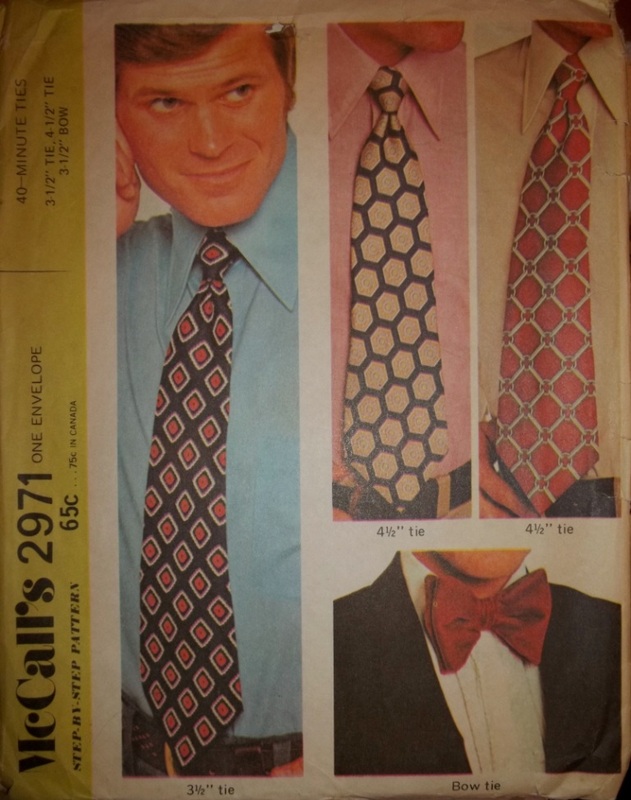 Sure, clothes might be a cheap commodity nowadays, but it wasn’t always so. If you have them, use those awesome sewing skills of yours to do more, given the time and gumption of course. 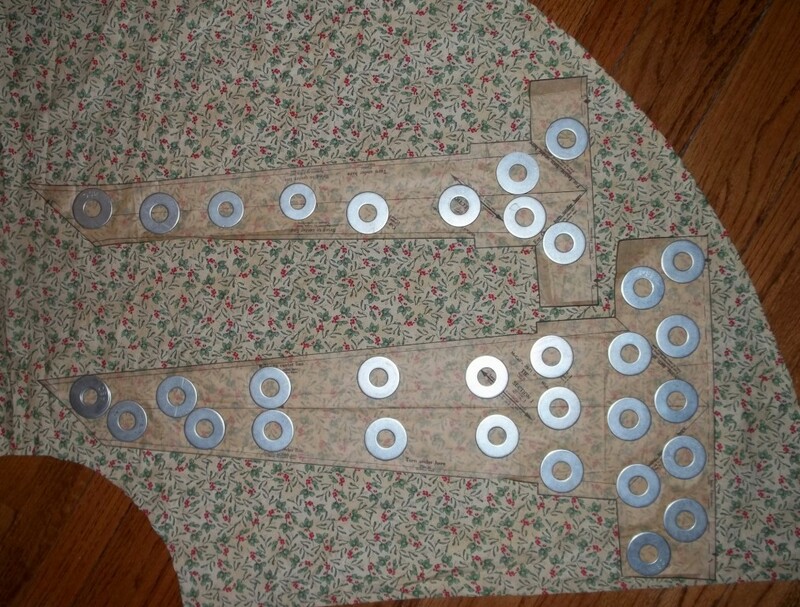 If you don’t sew, it never hurts to learn how to create with scissors, thread, paper and fabric. What do you think? Would you rather start anew with a project? Working on something existing can drag one down. Does the thought of fiddly repairing send chills down your spine? Do you (like me) rather enjoy the satisfaction of knowing you invested in your wardrobe after a garment repair has been made? What is red without green for the Christmas holiday? It sounds like a really good duo all broken up. I made sure the two colors of the holidays were brought together by my current sewing. 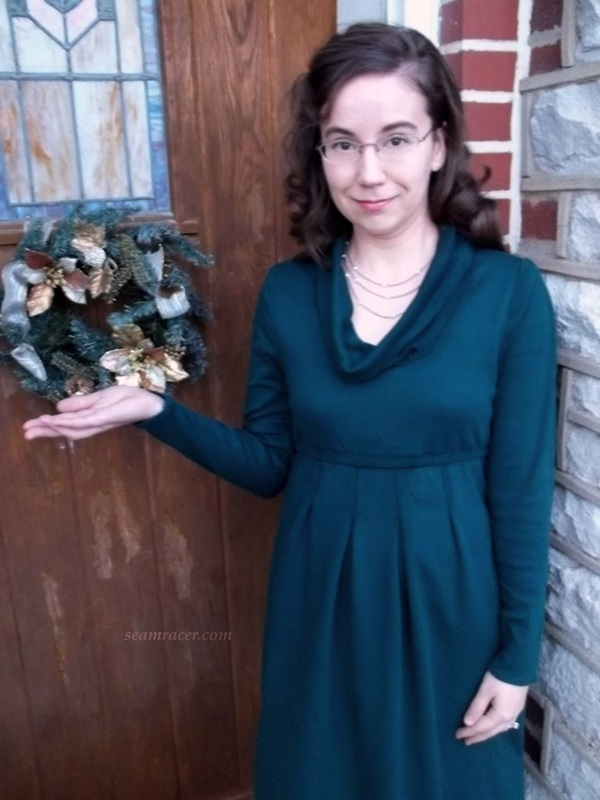 My previous post, my 1946 dress, documented a red wool dress for wearing to my holiday functions, but actually I made a deep green knit dress a few weeks beforehand. 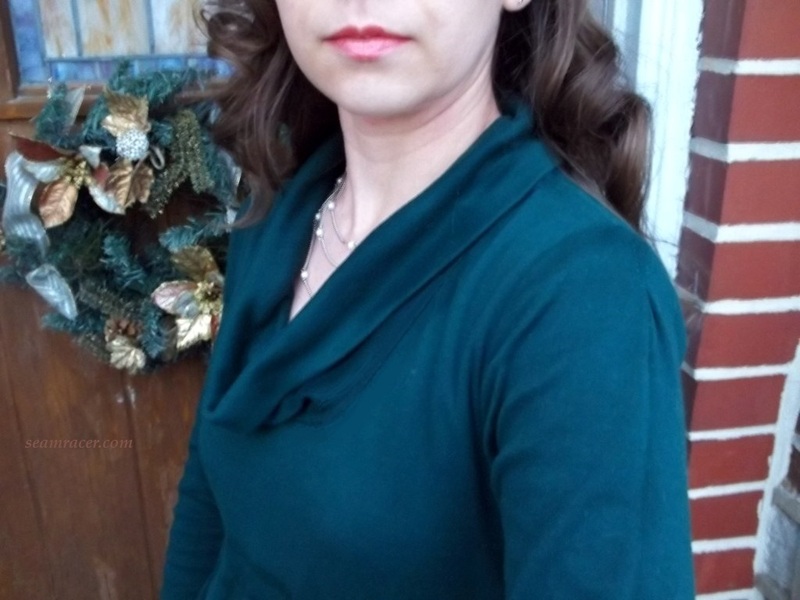 This green knit cowl neck dress became my actual Christmas day party dress. I was the girl in green, with green legs, too, and gold sparkle shoes and necklace. Making a little bit of a modern look to match my red vintage dress gave me one more good reason to anticipate getting snazzed up! This dress pattern is a definite winner, with some interesting details and different shaping. Just pick a solid color that you love and find a fabric that drapes nicely, and you can’t go wrong with Butterick #5523 for wintertime sewing. TOTAL COST: around $12; the green knit, the lining knit, and the buttons were bought about 3 years ago, with the knit being divided between 2 projects (so far). It’s hard to estimate price at this point, so let’s consider it almost free. As I just mentioned, this dress project is a 3 year UFO that is finally finished, after languishing uncut and in the “idea” stage on my shelf. Even two different cards of buttons, just to let me make up my mind as it was done, were kept with the pattern and fabrics. Another project off a long list of things I’ve been wanting to make is always very relieving! This dress was relatively easy to put together, with the many pleats across the waist of the skirt and the pleats on the sleeve caps taking up a fair amount of time and skill. The sizing was pretty much right on as well. There is an elastic casing made from sewing down the seam allowance at the empire waist (something I haven’t done before). As a winter dress, it has an interesting cowl-type neckline, which can be changed to twist up the look, but needs some hand stitching time to be finished. I will explain more about these design elements later. Firstly, however, I was on the lookout for B5523’s “personality flaws”, mentioned by many others who have also blogged about making their own version of this dress. I wanted to make sure to fix several quirks while my dress was still at the pattern stage. 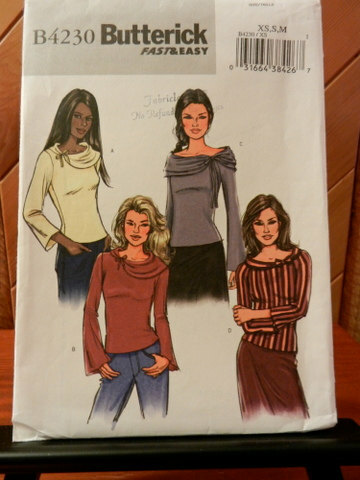 One big tricky feature of this pattern is the bracelet length sleeves (i.e. like a slightly high water long sleeve), which are cleverly hidden by the envelope cover model. She has her sleeves pushed up, like they are long wrist length originally, and even the pattern envelope back sadly lies and mentions ‘long sleeves’. If you are making this dress and that sleeve length is o.k. for you, then leave this pattern piece as is. 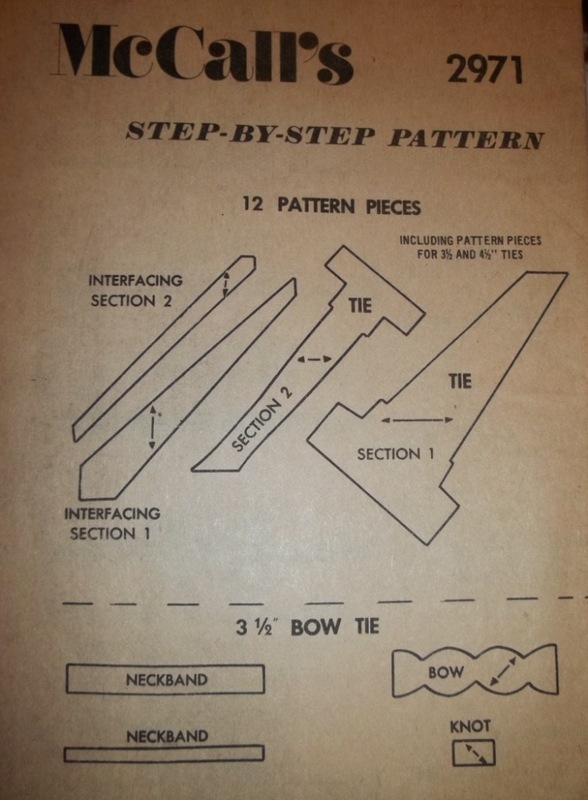 Otherwise, be forewarned you will have to do what I did – use the pattern piece from a sleeve that you like so you can cut B5523 according to a length that you want: long, short or 3/4th. I opted for a long sleeve, and sewed it in tighter because I thought the appearance of a skinny sleeve matched well with the rest of the dress. 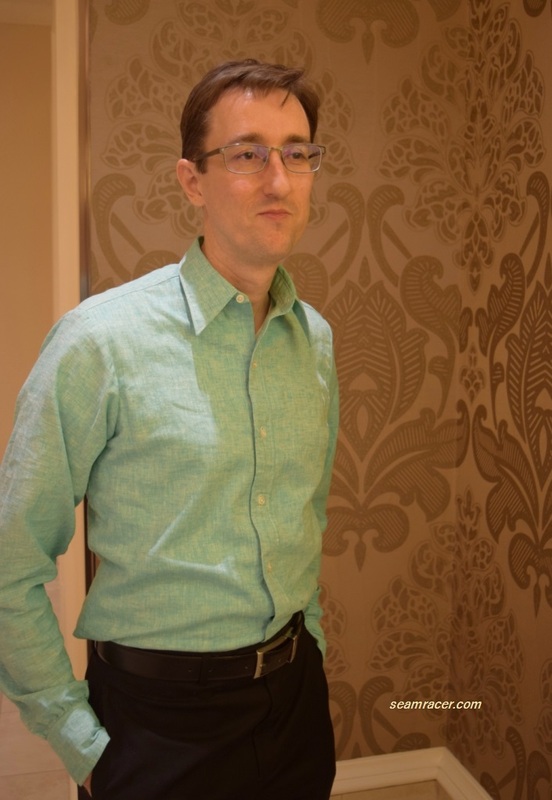 The combination of my personal taste and large upper arms dictates the fact that I like nicely fitting shoulder seams in garments I wear, whether made by me or not. Sometimes I fail a bit in reaching this area of fitting perfection, but drooping shoulders are something I (and others as well, I’m sure) cannot stand. 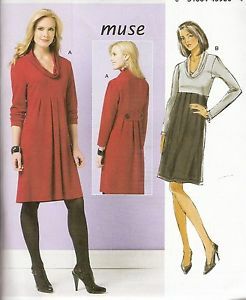 This dress pattern has a very droopy shoulder seam, especially at the top where the shoulder seam joins the sleeve cap. The droopy shoulder can be seen looking very closely at the envelope picture and a few finished dresses seen on Google Images, as well as read about on a few bloggers’ reviews. My easy fix to remedy such a problem, was to first put the bodice front pattern piece up against myself and estimate how much needs to be taken off (considering in seam allowances, of course) so the sleeve ends up fitting naturally around my arm/shoulder joint. 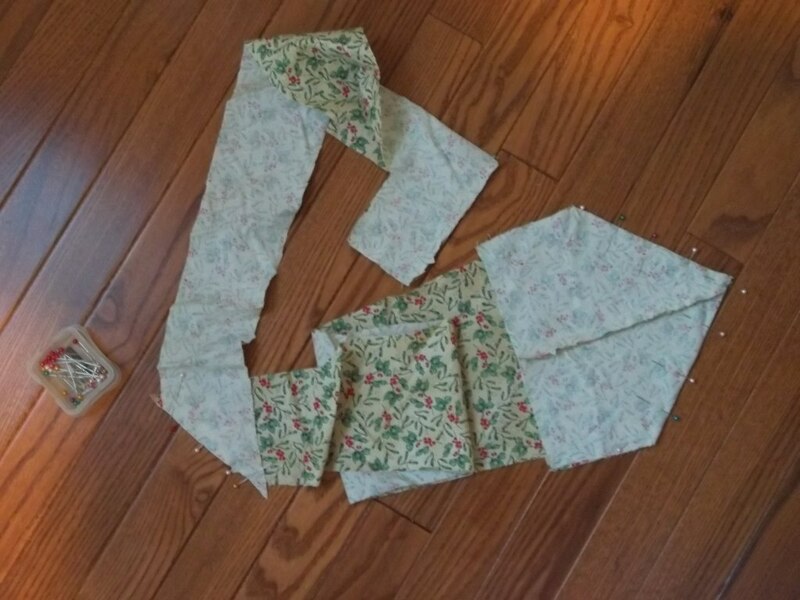 I folded in the top shoulder corner facing the sleeve on the bodice front pattern piece, smoothing it into a straight line down to the triangular tab (see my picture). 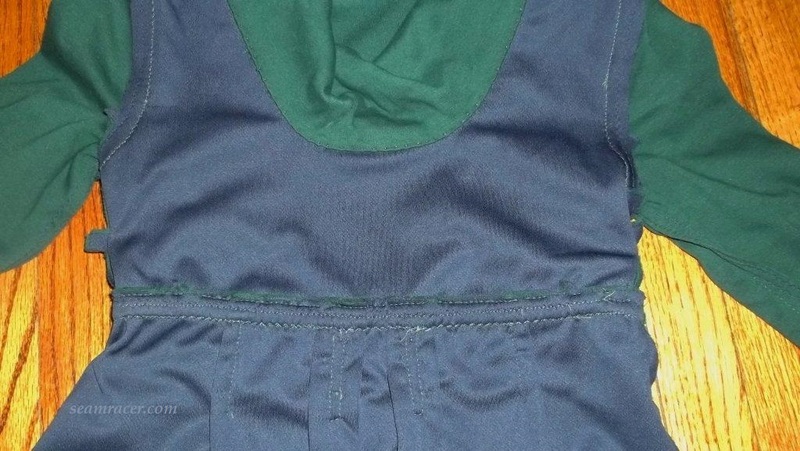 The shoulder area of the sleeve was left alone since several bloggers complained of too much poufiness around the sleeve top below the box pleat. Sure enough, my configurations worked out great – the shoulder seam ends at the right spot around my arm. The sleeve cap pleat also is looking great from being pulled in farther across the point of my shoulder so the fullness opens up right at my biceps’ width. Knits make fitting so much easier, but I regard this dress as one of my project that reached a sleeve/shoulder fitting perfection. Check out my picture above closely and you should be able to see how I raised the neckline at the center so it doesn’t dip quite so low to be revealing. My neckline became more of a U, instead of a curved V, and just this new shape, raising the center up 1 1/2 inches, made a BIG (but good) difference. I wished I had bought a bit more fabric than the pattern calls for to accommodate all my changes listed so far. As I didn’t have this advantage, some changes I wanted to make had to get “cut short”, literally. The overall length (neck down to hem) of this dress was a bit short for my preference and for many others, from what I have read by other bloggers. My dress’ hem could only be extended 1 extra inch, on account of my fabric amount. Other ladies lengthened their versions 3 or so inches, and I almost wish I could have done that, too. 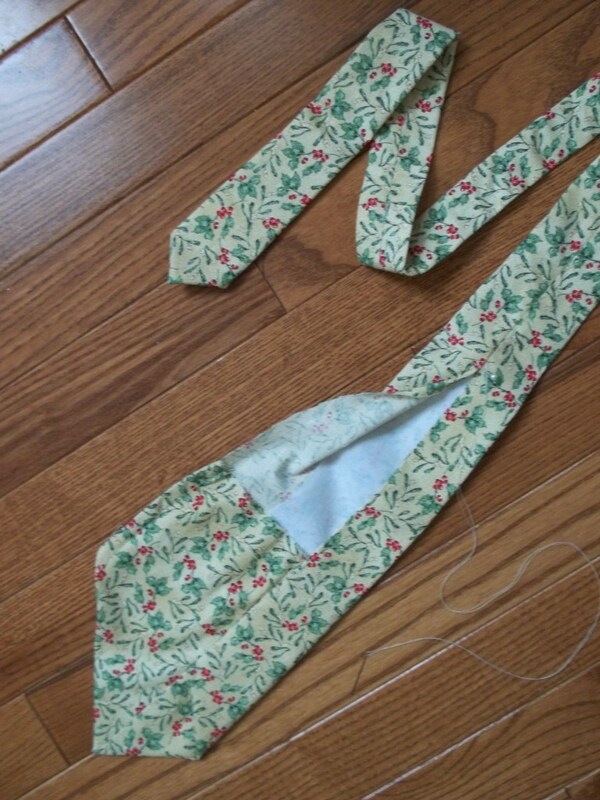 I sewed on 1/2 inch bias tape, in a matching green, along the bottom raw edge, then turned this inside so I would not loose much length as compared to a regular 2 times sewn under hem. Anyway, a shorter hem on this cowl neck dress seems to go well with the flare of all the darts in the skirt portion – I think this dress’ design can look a bit frumpy with the wrong fabric drape or length. Speaking of length, the bodice portion of this B5523 doesn’t seem to give much room for women who are, let’s say, ‘well endowed’. So, if that phrase includes you, or if you simply do not like empire waists, remember to add length to the bottom of the front bodice and extend the top half down lower. I don’t know how much of a difference it makes, but some ladies recommended doing box pleats (link here) for all the pleats. 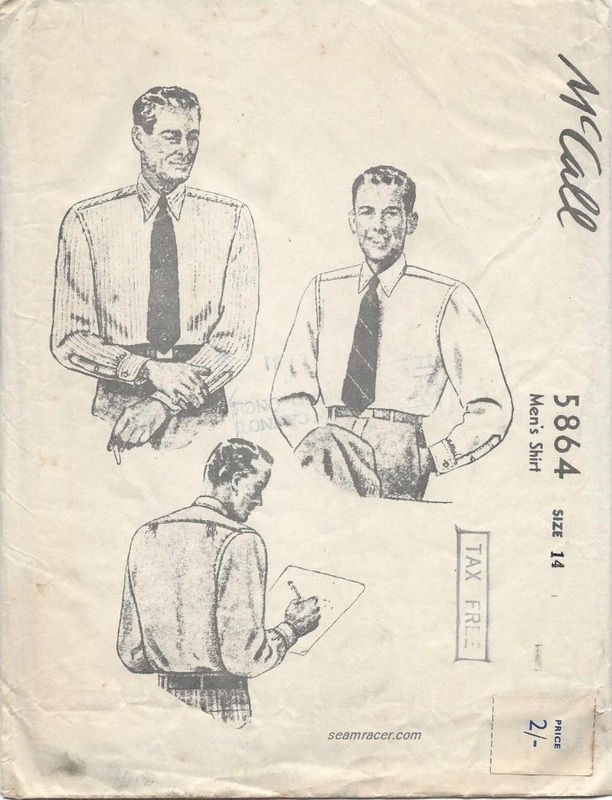 The pattern only calls for box pleats for the two center front and two center back pleats, along with the one at the top of the sleeve cap. 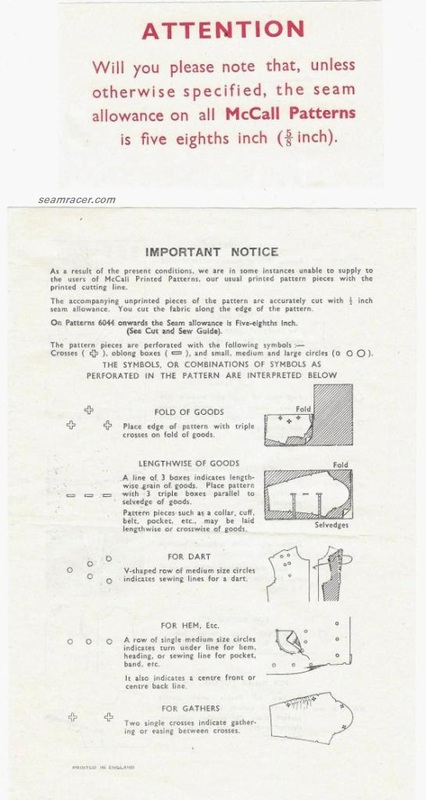 It seems this dress pattern has been used to make some very nice looking maternity wear, and I was afraid the pleats were indeed a possible root cause to this appearance. However, I did follow the pattern’s instructions, and, apart from being a bit paranoid this dress makes me look fat, I really don’t think the pleats are all that bad. Doing the cowl neck was fun and interesting. Several others who also made this dress had some really good ideas of how to customize the cowl neck. 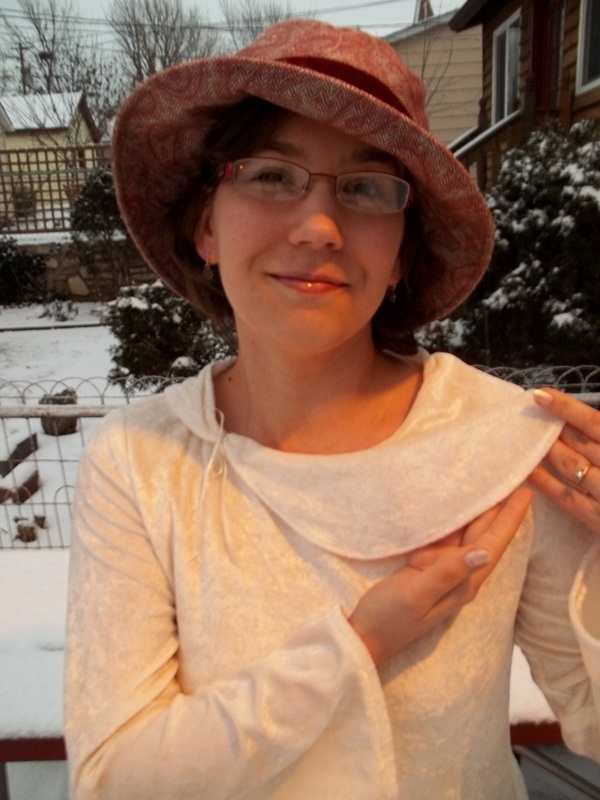 What I basically understood is that if one wants the large, oversized funnel-neck type of style that can be folded down, than hand sew the inside of the cowl neck evenly matched up with all neckline darts. Otherwise, if you want your cowl neck to look more like a scarf, fashionably draped around the neckline of this dress, then slightly twist the inside seam so that the darts and center back seam do not match and are off in one direction or the other. 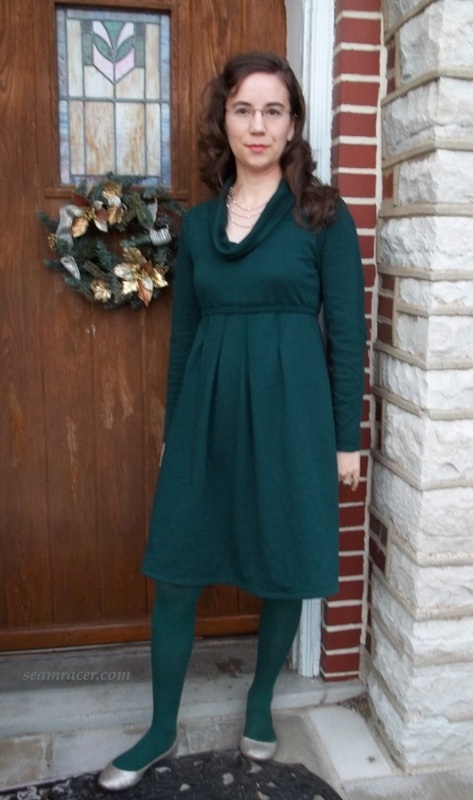 My finished dress is done in the first “oversized funnel-neck” method I mentioned, with all the seams matched up. I always fuss with the neckline too much, and am not completely happy with how it lays, making me wish I had done the “twisted up” method instead. However, I think the problem is really me…I don’t have and don’t wear cowl neck clothes and this design is just something new to me. In the end, I really do like the neckline of my dress because it not only presents a nice frame for the face, but it also keeps my neck warm! If you noticed a darker green color at the darts, back tab, and cowl neck, I can explain. (If you didn’t notice before, I guess you do now.) My dress had gone to a trip through the wash, and dryer as well, but the opportunity for a photo shoot arose before the fabric was completely dry. So the dark spots are the damp parts, and with the several inches of snow that were on the ground outside, I was feeling the cold breeze, to be sure. You’d never guess it, though, right? The part of this dress that really makes it all the more green is something other than the color. 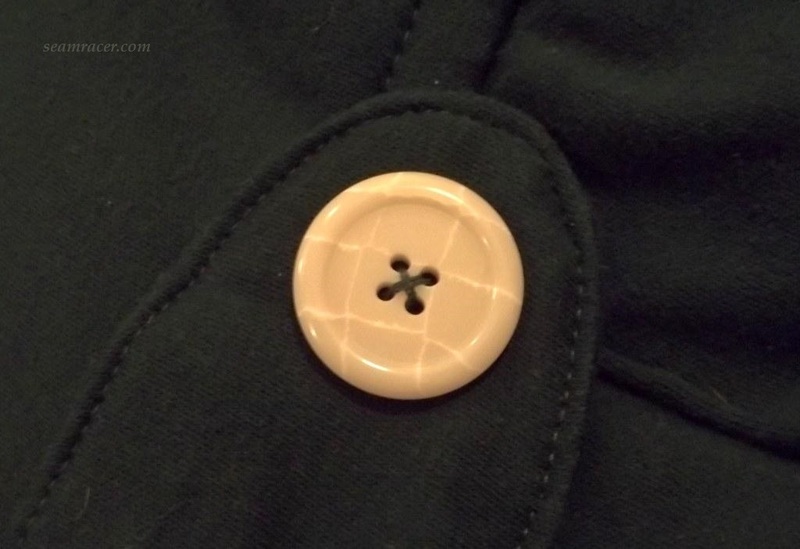 My buttons chosen to be sewn down to the back tab are actually 100% recycled plastic. Yes – great isn’t it!?! Who knew! The buttons look like a sort of stone or marble, and are a beautiful, creamy, off-white color. By the way, is it just me or is the mention of cutting interfacing for the back tab completely missing until you get to the middle of the assembly instruction? I think it is missing, at least early enough to help. 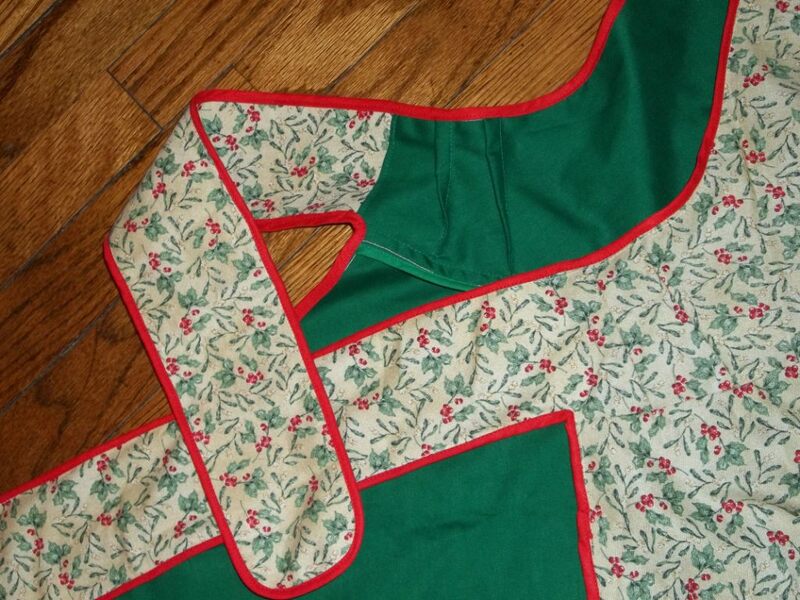 I didn’t bother with interfacing…I do all my cutting at one time and that’s that, except for special reasons. The tab is fine without interfacing, and I very much like what it adds to the back of the dress as far as style and interest. About half of other peoples’ finished versions of this dress were lacking the back tab, and also the waistband elastic. “To each his own” as the phrase goes; they can make their clothes how they like. For myself, I found the waistband elastic gathering complimentary, while the back tab gave me the opportunity to show of my love for buttons and all things green. See – being green is not just for the holiday season. It’s always in season! Be ever green.